Where then did this recipe come from? Whiskey was first produced in America along the shores of the Chesapeake Bay and its tributaries. Probably first in Virginia in the first English colonies. Soon after, other settlements were established along the Virginia banks of the Chesapeake and further upstream in Maryland, and these too would begin to distil some of their grain into whiskey. This was at a time before the Caribbean sugarcane plantations were established and before the popularity of rum would take over for a duration in this region. Sometimes a bit of the rye grain was malted, or some barley was malted, and added to the mash to help the fermenting process. The malting of the barley grain introduced enzymes that would jump start the yeast when added into the warm water mash. The Irish traditionally used a mix of malted and un-malted grain. This technique originated as a way to avoid a tax that was imposed on malted grain in the old world. The un-malted grain created a slightly different flavor then an all malted sprit and again, was something the Irish had become accustomed to. And since malting grain in sparse conditions of the new world could be a chore to be avoided, it was figured out that a distiller could get away with just a small amount of malted grain in the mash and still get the results of the enzymes. But this little bit of malted barley also helped to create the dynamic taste in the Maryland rye. As these evolutions were taking place in the colonies of the Mid Atlantic there was another spirit that was becoming more and more popular and that spirit was rum. It was distilled in the Caribbean and it was distilled inthe colonies from molasses imported from the islands. Rum’s favor overshadowed whisky and relegated it to being more of something to do with excess grain up until the rift between the Colonies and Great Britton known as the American Revolution. Then the British blockaded the Chesapeake during the war and cut off, among other imports, molasses and rum! Thirsty American Revolutionaries were not about to go dry in the face of battle and the American farm distillers began to do more and more of what they had been doing a little of for over a hundred years, making whiskey. western side of the Allegheny mountains of Pennsylvania, Maryland, and parts of what was western Virginia, but would soon become Kentucky, were all producing whiskey and shipping it over roads and down rivers to these thirsty cities. The new and unestablished farms in the western areas of Maryland and Pennsylvania were now going through the same growing pains that the Chesapeake region had gone through a hundred years earlier. They were still clearing their new farm fields and had trouble growing the more finicky grains such as corn and wheat and so their whiskey was often a high-rye whiskey with some corn and malted barley. Some early whiskey from the Monongahela region was recently found and tested and it was determined to be 80% rye grain, 15% corn, and 5% malted barley. This whiskey, although similar to what the earlier Chesapeake whiskey was like, was different from the rye whiskey with higher amounts of corn and barley that Maryland drinkers were used to by this time. And there was another difference; the whiskey was inadvertently being aged. Take the whiskey that was made at the Dill Tavern in Dillstown (now Dillsburg), PA in the early 1800s for example. We can deduce from their old ledgers listing the amounts of grain they purchased for the distillery that their whiskey mashbill was rye, corn, and barley, so they made a Maryland style rye. This makes sense since it was to be sold in Baltimore and it also makes sense because Leonard Eichelberger, the proprietor and distiller, was from Frederick, Maryland. It was barreled and shipped to Baltimore by wagon. The trip took ten days and that’s how long the whiskey spent in the barrel. The barrels were then offloaded, and the wagons reloaded with barrels of oysters in brine-water and other goods to be used or sold back in Dillstown. Ten days with maybe a few more on the front and back end is not a long time in a large, used barrel and would be considered essentially unaged by today’s standards. Then as demand increased and the whiskey production moved further west into the Monongahela region of western Pennsylvania, there was a greater delay in the transport of the whiskey from the farms on the other side of the Alleghany mountains to Baltimore and Philadelphia in the east. The weather there was not as congenial as it was on the eastern side of the mountains and the harvest would be a rush to bring in the crops before the frost. Then, when time would finally permit after the harvest, the farmer would begin to distill. Once his spirits were completed the first snows would have already settled in the mountains making a trip over them with a wagon heavy with barrels of whiskey treacherous. At the spring thaw, the trails would turn to mud for weeks and the farmer might not be able to navigate the mountain passes until well into spring. The whiskey would spend a much longer time in the barrel then the ten days it took to get rye from the Dills Tavern to market. Knowing that his spirits would have to spend months in a barrel the distiller would choose to keep barrels for only that use; not allowing them to become tainted with obnoxious smells and tastes. He would also clean the barrels as best as he could before using them to store his spirits. And as was sometimes done to purify the wood in a barrel, he might place his barrel over a fire and allow the flames to purify and dry the wood staves, affectively charring the inside. 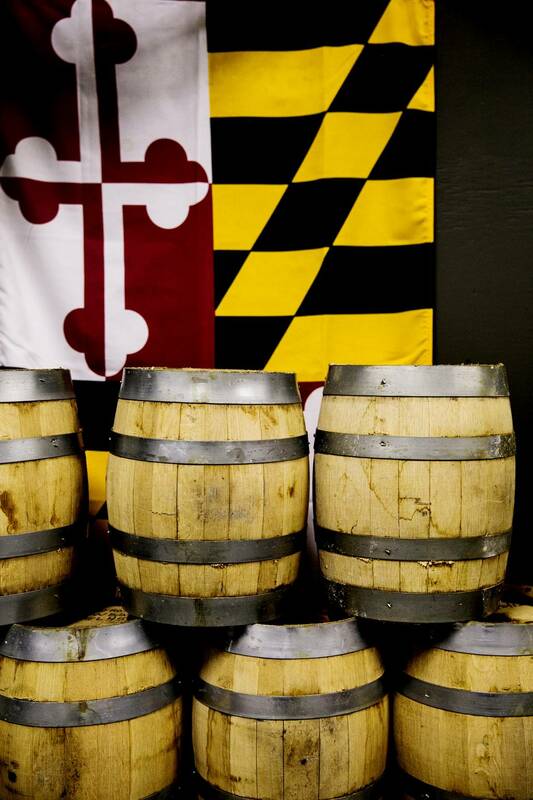 Now in recent years, the fame of Maryland rye whiskey has returned. 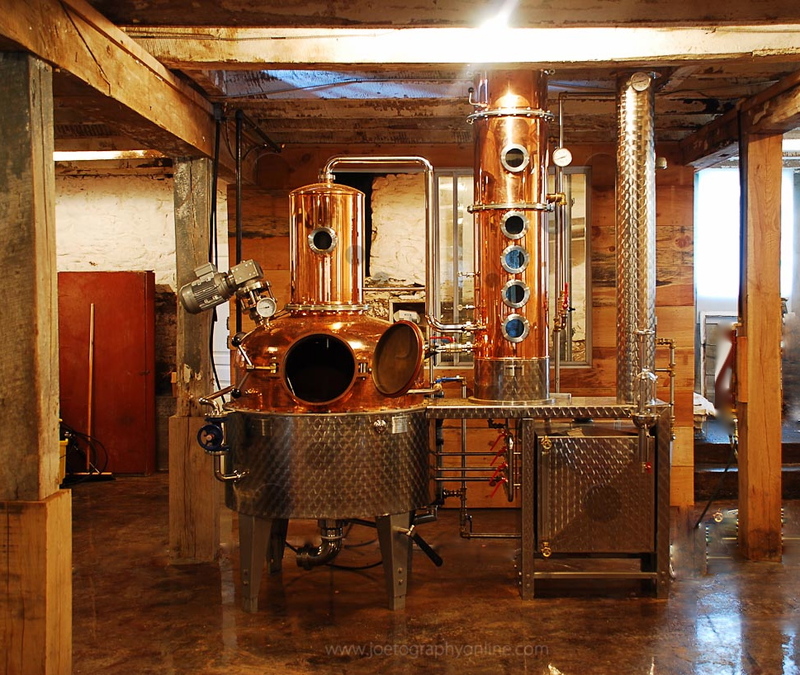 There are distillers around the country again making whiskies that proclaim to be of the Maryland rye whiskey styl e. Distilleries like New Liberty Distillers in Philadelphia, PA, New England Distilling in Portland, ME, Leopold Bros, in Denver, CO, and Far North Spirits in Hallock, MN, all have whiskies labeled to be Maryland style. 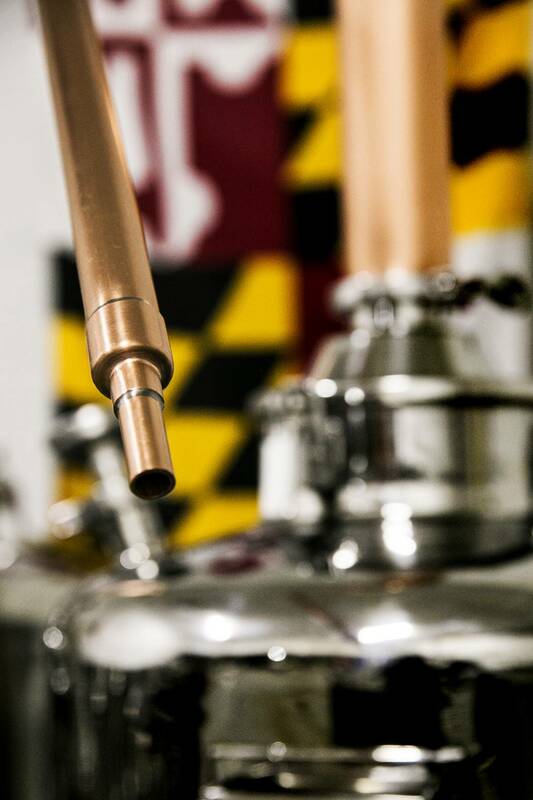 And now there over fifteen new distilleries in Maryland making rums, brandies, liquors, unaged whiskey, corn whiskey, Bourbon, and many of course, are making Maryland Rye. We can once again taste the commonalities in the category of Maryland rye and still explore all of the individual characteristics of the different whiskeys from the distilleries around the state.